With the upcoming release of the movie Max, which stars a Malinois, there has been a lot of talk about educating the general public on what it is like to own a Malinois. 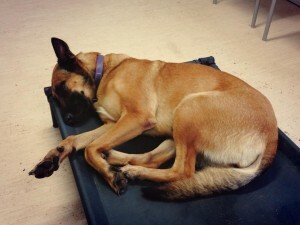 I thought I would give an insight into what life is like, from the perspective of someone who works for a professional training company, to live with a working line Malinois. This is not going to be another one of those articles about Malinois where I tell you that I wake up at 5am and spend three hours walking and training my dog, lecture you about how Malinois aren’t pets or show you pictures or videos of my dogs destroying things in my house or behaving badly. I feel a lot of these articles miss the point about why Malinois aren’t suitable for the majority of people. First and foremost our Malinois are our pets. This means they don’t live outside in runs or cages 24/7, they live in our house. While they ARE high drive working dogs, we do not accept that this means they can’t learn basic life skills including how to behave in the house. The difference between training Malinois to do this and the average dog, one like my Beagle, Daisy, is that the level of management required may initially be higher and teaching a Malinois to switch off is more of a focus than teaching them to switch on. As you can see in this video, our Malinois Wisdom is the same. She will adjust her drive so she can play nicely with Steve’s daughter Hunter. As I type this blog post Wiz is currently asleep at my feet and has been in the office with me, calm and relaxed, all day. She must be a special, rare Malinois that has an off switch, right? Of course not – she has been raised, trained and managed properly so she is capable of chilling out in the office when I am not actively training her. This is behaviour we expect all of our dogs to learn. Wiz knows how to switch off and relax in the office! So when I refer to Malinois requiring a higher level of management, what do I mean? I mean that the consequences I might suffer if something goes wrong are much higher than it would be with a dog like my Beagle. If Daisy is let loose in the house and is never taught life skills, the biggest consequences are that she will probably raid the bin, counter surf and steal food from people. If I raised my Malinois without appropriate life skills, and let them run loose in the house, they would probably eat my house. I would likely come home one day to my lounge completely destroyed, skirting board chewed off the walls, and the bin annihilated into tiny little pieces, not just raided. 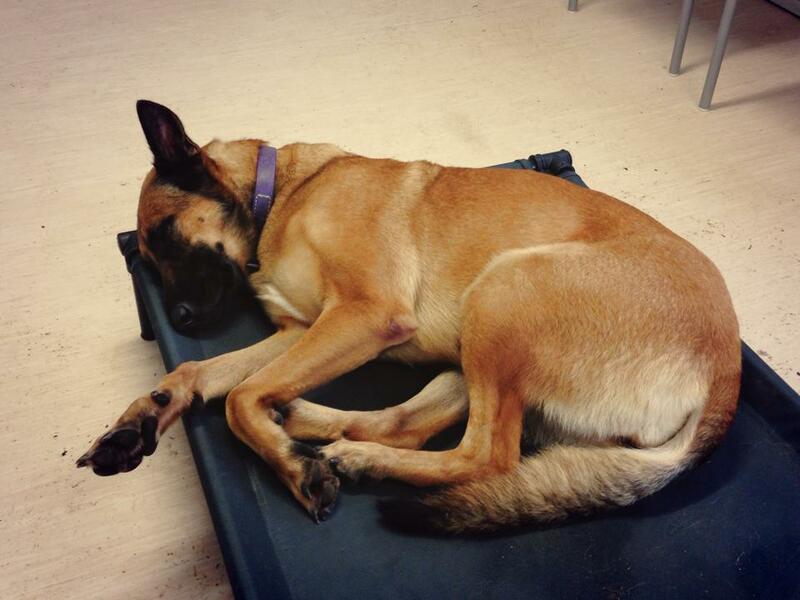 So yes – Malinois can be destructive, but this is a product of poor management and training, not a breed trait. And while the consequences can be more severe when Malinois are poorly trained or managed, make no mistake that management and training is important with all dogs. Leash pulling is a big problem for most pet owners. If I let my Beagle learn to pull on the leash rather than train loose leash walking, what is the consequence? That she would make our walks less pleasant because she causes me discomfort (leash pulling). If I let my Malinois learn to pull on the leash rather than train loose leash walking, what is the consequence? Well I can tell you the most likely scenario which is one we see almost daily in high drive working breeds at K9Pro HQ. Leash pulling occurs when the dog is aroused and looking for stimulation, with prey driven dogs like Malinois this can lead to lunging on the leash, barking at and trying to bite moving objects they spot on walks, like other dogs, bikes, prams, skateboards and even cars. Imagine having a 30kg plus dog straining on the leash to chase after and bite the wheels of a pram – you aren’t going to be very popular! If I don’t give my Beagle an outlet for her natural drive, she will look for drive satisfaction elsewhere like any dog. For a dog like Daisy this would be doing things like stealing food, barking, trying to escape the house or yard. But for a Malinois, their desire and need for drive satisfaction is much higher. A Malinois without a good outlet for their drive may not just become extremely destructive, but dangerous and aggressive. 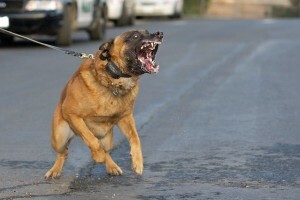 Without the right training and management Malinois can become out of control and dangerous. Are you starting to get the picture? It’s not that Malinois aren’t capable of learning basic life skills, but that the consequences when they aren’t raised, trained and managed properly are much more severe than the average dog. I am not going to tell you that Malinois need hours of exercise and training a day, I don’t actually know anyone who is able to provide their dogs with hours of stimulation every day. I don’t know anyone, anywhere, no matter how dedicated a dog owner, who never has a day where they are (for whatever reason) unable to train their dogs. For this reason our Mals have to learn how to switch off. Steve calls this “setting reasonable expectations“. We can’t have dogs that will go crazy or become uncontrollable because, for whatever reason, we haven’t been able to train them for a couple of days. 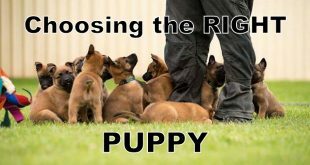 Don’t get me wrong – owning, raising and training Malinois to make them into the amazing dogs they are capable of being takes a lot of time and commitment, especially as puppies. Part of that time and commitment needs to be spent training the dogs to self settle and switch off so you have a dog that is controllable, with good management in place. What is good management? For one, our dogs are crate trained – this means they will happily relax in their crates and stay there even when the crate door is open. I never have my Malinois loose in the house when visitors arrive. My puppy would learn that people will show up and reward her and my older female may see them as a threat to me and take action. If I do let my dogs out in the house, they are with me at all times, in a down stay, or lying on a bed/place/mat. 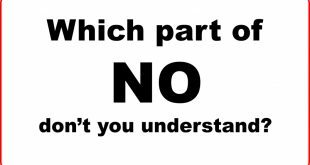 Or, I could let them run free and just follow them shouting “No” every time they happen across a behaviour or have an original thought. This might sound strict but when you have a dog that has as much drive and grunt as our working line Malinois do, you need to make it extremely clear to them what behaviour you want them to be doing, or they will find 1000 ways to amuse themselves, 999 of which you likely won’t enjoy. A big part of owning a Malinois is ensuring you give them an outlet for drive. For Malinois this isn’t just food drive but of course PREY drive. 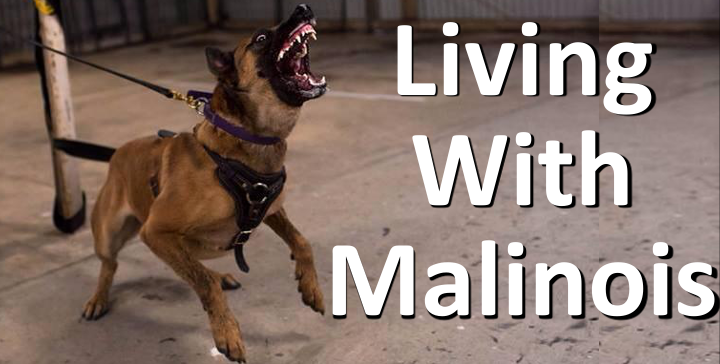 Malinois as a breed have extremely high prey drive and the worst cases we have seen where they have become out of control, aggressive and dangerous have been situations where their owners have not adequately provided drive satisfaction. These dogs NEED an outlet, they need a ‘job’, they need work to do. 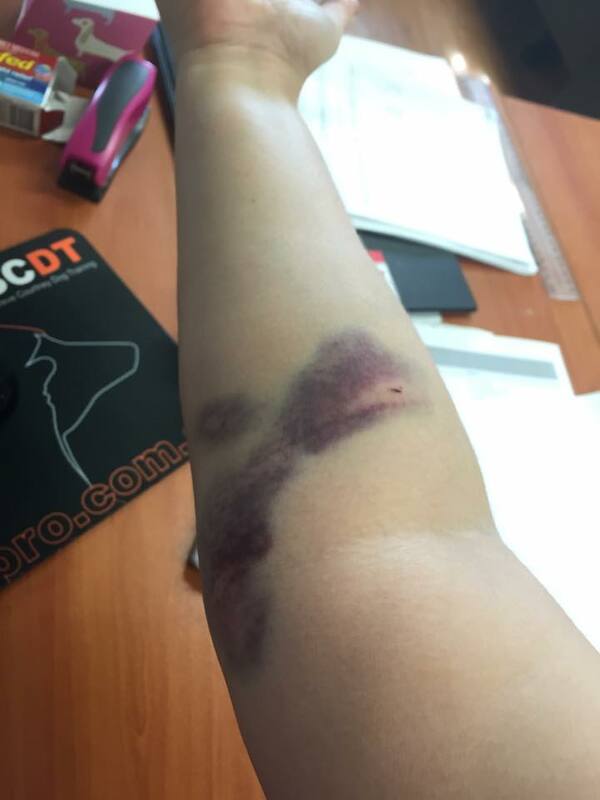 And no matter how good a handler you are, expect to cop some training injuries! Every now and then I will stuff up my handling during a tug game, and the dogs will run into me or accidentally mouth me. Of course when you are training a Malinois, everything is extreme, including the bruising! If I make a handler error when training Wisdom, our three year old Malinois, she will let me know what she thinks about it and might bark at me, jump up and snap her teeth in my face or even punch me with her snout. Malinois are not a dog for the light hearted, they are like driving a Ferrari as opposed to a Toyota Corolla. The Corolla is safe and reliable but doesn’t go as fast as a race car. The Ferrari takes skill and finesse to handle, but drives like nothing else can if you can steer it properly. If you aren’t experienced driving the Corolla, you definitely shouldn’t look at upgrading to a Ferrari. Malinois have more drive which means they have more to give, but that also means there is more room for error, and the consequences of ‘crashing’ one can be severe. So love the breed, admire them, maybe even consider getting one, but be prepared to treat them differently to the average pet, because they can be so much more than that – in both good or bad ways, that depends more on you than them. Know that we see more out of control, reactive, aggressive or fearful German Shepherds than we do Malinois, but just like Malinois raised and trained properly, the breed is not always like this. When you get a pup know that any dog can turn out bad. With dogs like Malinois, that bad can be extremely dangerous. I asked Steve to read my article and make a comment, he gave me this line from the movie “The Terminator”. Steve said “There is no fate but what we make”. Get a puppy with the determined intention of training the puppy “every day” to cope and exist in your world, whatever that may be. Previous The Retractable Leash, good or bad? I really love energetic playful dogs. I have an extremely high drive English Cocker Spaniel. whose behaviour needs to be managed. I employ many of the same tactics you list to manage her behaviour. We adore each othet! When i am at work she switches off and sleeps most of the day or plays with her my sister but she scales back her drive] and she loves company.. However, when I come.home it is game on! I was amused by her puppy hijinks rather than dismayed and tended to use redirection a lot. I would start a game that would require obedience behaviors and kind of wind her down. The day I retire, I am getting a Malinois…..show lines not working lines. I am not interested in aggression potential but a reasonable, intelligent and devoted companion. 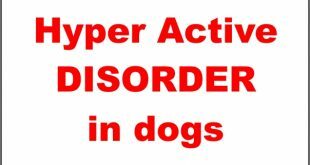 I am an extremely active outdoorsy sort of gal who is into dog training and dog sports and I have watched by now.hours of breed specific video and read everything I can get my hands on about this breed. I first became aware of the breed by watching dog training videos of Michael Ellis. I have started to pay attention to them at the obedience and agility trials….I think this breed may be a good fit for me but I need to make sure that I m there to teach the dog how to behave in the house for my sister’s sanity. it is really important to make sure all dogs but especially high drive dogs get taught how to switch on and off appropriately. Whereabouts are you located Mel? I am the owner of a two year old Malanois who has been trained appropriately by my husband, however he did not include my 13 year old son and I in the process. Now, even to take him out of his crate during the day to take him outside while my husband is at work, I have to close all the upstairs doors because when he comes back into the house, he runs upstairs and goes wild. He runs in and out of the bedrooms, looking for my husband I believe, and it’s very difficult to calm him down. Also, if I happen to have him out and my husband comes home unexpectedly, Bomber, our malanois, gets very excited/out of control and confused at the same time. While he’s not very vocal most of the time, when this occurs he barks, whines, gets confused, and at times has urinated on the floor. Because of these issues, our malanois does not get enough work time and is inside of his crate for too much of the day. My husband is clearly the alpha. Is it possible at this age to train him well enough to get him to a more normalized malanois temperament? It breaks my heart as it has gotten worse in the last 6 months or so. Oh, I should mention that when he reached around 8-9 months of age, my husband began using an e-collar. He is also leash trained but can only be managed by my husband. Age is not really a reason not to train or to train, never to old to learn better ways. But you will need a skilled trainer who understands the breed and behaviour to guide you I feel. What’s your thoughts on a Mali I took on at six years old which had been constantly revved up by its previous handler to the point where he’s unable to be calm. I’m beginning to think I’ll never overwrite his initial ‘programming’ do you think this should be achievable? Thanks in advance. At 6 years old he will be in a set behaviour cycle, this doesnt mean you cannot alter it but it may take a multi step process to teach him when it is ideal to be “up” and when it is not. 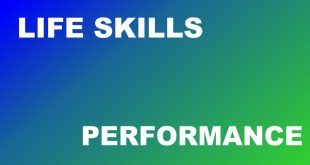 It can be hard to communicate to a dog how much energy is ideal, so you have to teach other functional skills. Our mal is 2 years old and still has puppy behavior. Shes chewed up many dog beds. She had a toy made out of bullet proof material and it was destroyed in 15 minutes. She is not mean though. We paid a trainer to come to the house but that didn’t help. As soon as he left she wouldn’t listen to us. We love her and wouldn’t trade her for anything but she defintel has a mind of her own. The trainer needs to train you so that you will be able to communicate with your dog and teach her and train her. Well written article we saw Max after getting our girls? We love our malinois they have changed our lives so much and taught us new meaning in work terms but we would not change it for the world. They live inside 24/7 and have learned to chill but only through dedication and love. Our whole lives have changed including being able to holiday or be away from the house for more than 6 hours at any time, I don’t think we could have them and an office job. I have owned many breeds but the mals are truly outstanding.? Fantastic article …. sadly, these dogs will become fashionable, predictably sad outcomes as in GSDs, Border Collies, Australian Blue Cattle Dogs and Bull Terriers. High energy dogs who are often smarter than their owners! Grrrr! Great article Bec. It worries me though that they will become the next fad dog after the movie – which seems to happen after any dog movie. Thank you for the info Bek, i have had a my male for 6 yrs now and have never had a problem with his behaviour. He was very shy and introverted initially but he turned out to be the best guard dog i’ve ever had. The young female i bought a few months ago had some distructive tendencies but since working with her and having the calming inlfuence of the older female there that has since disappeared completely. They are great guard dogs and excellent pets once they settle and form a bond with you. Thank you once again for the article ! Great article Bec! A lot of good information! Get this out to Corolla owners that want to own and drive a Ferrari! I share my life with 6 Mals who live in the house, they know the rules, they understand pack structure and all have an off switch! HOW do I train my Mali to have a reliable ‘OFF SWITCH’ for inside the house when other people come over?????? I can have someone come up to the door and he will start barking loudly and then I can hold him and open the door and let him out and he’ll mind (to not jump up) when I tell him ‘no’. BUT the second I have the people come inside the house (even right inside the door with the door open) he gets aggressive and tries to jump up and kinda of nip on their face. WHAT CAN I DO??? I want to change this so I don’t have to crate him when people come over. PLEASE HELP ME. I’ve had Dobies, Rots, even a Wolfdog and they were TOTALLY EASY compared to my Mali. I would start by crate training him and he would be in the dog crate every time someone comes in. This will prevent him rehearsing the behaviour. There will be a number of other life skills he should learn, you should find a trainer in your area experienced with the breed. Great article!! All so true. I have 2 Mals & a Dutch/Mal cross. All 3 are working lines. I train 3 days a week with a group and then 1 day at my place on a k9 field with jumps, A-frame etc. Commitment commitment commitment!! I can’t go on vacations because of the stimulation and socialization needs for these pups. Take alot of time, work & energy on my part. Great article I really love this breed and as you say admire them but would not own one because I just don’t have the time needed to commit to this fantastic breed. Maybe one day. I am worried though about all the videos popping up showing breeders with Malinios hanging off them with what seems like no control etc. I understand their drive etc I just hope that the breed isn’t destroyed or maligned due to amateurs or those that want a tuff dog on the end of the lead. Very true…I’m on my 4th mal and love the breed for 25 years now. My current one is the only one I’ve had real problems w/due to poor breeding making a nervous dog. Awesome article! The best I have read! Best article I have read yet about the “Max concern”. Very well stated.